View this pet on Petfinder • Fill out an application for Gerber (FCID# 03/20/2018 - 401). View this pet on Petfinder • Fill out an application for Toby (FCID# 02/19/2018 - 56). View this pet on Petfinder • Fill out an application for Sparkles (FCID# 11/03/2017-112). View this pet on Petfinder • Fill out an application for Gloria (FCID# 05/22/2018 - 108 Willow Grove). View this pet on Petfinder • Fill out an application for Lengua (FCID# 05/18/2018 - 105 Willow Grove). View this pet on Petfinder • Fill out an application for Duchess (FCID# 05/25/18 - 134). View this pet on Petfinder • Fill out an application for Talula (FCID# 06/05/2018 - 108 Willow Grove). View this pet on Petfinder • Fill out an application for Dale (FCID# 12/15/2016 - 215 Foster). View this pet on Petfinder • Fill out an application for Nellie (FCID# 7/2/2018-40). View this pet on Petfinder • Fill out an application for Ruby: Front Declawed (FCID# 06/08/2017 - 202). View this pet on Petfinder • Fill out an application for Mimi: Declawed (FCID# 04/30/218 - 82). View this pet on Petfinder • Fill out an application for Clifton (FCID# 05/12/2017-401 Foster). View this pet on Petfinder • Fill out an application for Mama Cats 1 & 2:bonded pair (FCID# 08/01/2017-127). View this pet on Petfinder • Fill out an application for Hemi (polydactyl) & Jazzie (FCID# 07/05/18-27,28). View this pet on Petfinder • Fill out an application for Kelly: Barn Cat (FCID# 05/25/2017 - 201). Hi! My name is Patience (FCID# 08/27/2018 - 50), and I am approximately 1-2 years old. I am a total sweetheart! My human friends at Brookhaven PetSmart say I am such a lover. I adore being held and pet. I purr and purr when you give me attention. I knead (also known as making biscuits) to show you how happy I am. I love to make biscuits. I was found in a hoarding situation with someone who had way too many cats in unsafe conditions. I was so scared and confused. For this reason, I am still working on coming out of my shell, so you will have to be a little patient with me. I am worth the wait though, I promise! Please give me a chance. I just want to be someone specialÃ¢Â€Â™s spoiled pet. I hope to meet you soon! P.S. I am gorgeous!!! These photos do not do me justice. Please visit with me at our adoption center in the Brookhaven PetSmart. Thank you! Love, Patience. http://www.forgottencats.org/application.php. (Foster: Trainer) Going home with Pepper! View this pet on Petfinder • Fill out an application for Patience (FCID# 08/27/2018 - 50 Brookhaven PS). View this pet on Petfinder • Fill out an application for Boots (FCID# 06/04/2018 - 8). View this pet on Petfinder • Fill out an application for Traveler aka Rudy. View this pet on Petfinder • Fill out an application for Dawn (FCID# 12/14/2018 - 104 West Chester PetCo). View this pet on Petfinder • Fill out an application for Rhett (FCID# 03/01/2018 - 64). View this pet on Petfinder • Fill out an application for Savanna (FCID# 03/16/2018 - 105 Jenkintown PS). View this pet on Petfinder • Fill out an application for Sylvester (FCID# 12/28/2018 - 400). View this pet on Petfinder • Fill out an application for Miranda (FCID# 12/21/2018 - 123 Willow Grove). View this pet on Petfinder • Fill out an application for Ethan (FCID# 07/31/2018 - 113). View this pet on Petfinder • Fill out an application for Elmer (FCID# 11/20/2018 - 108 Willow Grove). View this pet on Petfinder • Fill out an application for Douglas (FCID# 01/07/2019 - 10 King of Prussia PS). View this pet on Petfinder • Fill out an application for Ilsa (FCID# 01/03/2019 - 327). View this pet on Petfinder • Fill out an application for Walter (FCID# 01/19/2018 - 115 Willow Grove). Ready to play!!! Grout-Grout (FCID# 01/03/2019 - 334) is a fun and sweet male with huge green eyes, about 2 years old. He has a really cute face. Grout-Grout is a lover-boy with people and plays intensely with his feline pals; he especially likes to play with the younger kitties. He is playing our adoption center in the Brandywine PetSmart. Please stop in to see him and have some play time. http://www.forgottencats.org/application.php (Foster: Trainer). P.S. He is a litter kicker, so a covered litter box at home will be really helpful. He swears he was not the one who kicked out all of his litter, but there is no other cat in his condo. Hm. View this pet on Petfinder • Fill out an application for Grout-Grout (FCID# 01/03/2019 - 334 Brandywine PS). View this pet on Petfinder • Fill out an application for Jordie (FCID# 01/15/2019 - 113 Willow Grove). View this pet on Petfinder • Fill out an application for Sundae (FCID# 01/29/2019 - 126 Willow Grove). View this pet on Petfinder • Fill out an application for Robin (FCID# 01/14/2019 - 513 Brookhaven Foster). View this pet on Petfinder • Fill out an application for Annie (FCID# 02/04/2019 - 42 Brookhaven PetSmart). View this pet on Petfinder • Fill out an application for Piper (FCID# 11/12/2018 - 29). View this pet on Petfinder • Fill out an application for Ronnie James Dio: RB mix (FCID# 01/29/2019-129 WG). View this pet on Petfinder • Fill out an application for Sheba (Lewes Foster). View this pet on Petfinder • Fill out an application for Noah (Coatesville Foster). View this pet on Petfinder • Fill out an application for Chowder (FCID# 02/08/2019 - 102 Willow Grove). View this pet on Petfinder • Fill out an application for Matilda (FCID# 02/26/2019 - 102 Willow Grove). View this pet on Petfinder • Fill out an application for Myrtle (FCID# 10/19/2018 - 103 Jenkintown PS). View this pet on Petfinder • Fill out an application for Christine (FCID# 02/22/2019 - 104 Willow Grove). View this pet on Petfinder • Fill out an application for Bessie (FCID# 02/15/2019 - 120 Willow Grove). View this pet on Petfinder • Fill out an application for Piper (FCID# 01/27/2019 - 203 Brandywine PS). View this pet on Petfinder • Fill out an application for Harper (FCID# 01/21/2019 - 10 WC PSP). View this pet on Petfinder • Fill out an application for Rocky (FCID# 03/04/2019 - 28 Brookhaven PS)). View this pet on Petfinder • Fill out an application for Moana (FCID# 02/25/2019 - 200 Brandywine PS). View this pet on Petfinder • Fill out an application for Hermonie (FCID# 02/21/2019-515). View this pet on Petfinder • Fill out an application for Petal (FCID# 01/20/2019-510 ). View this pet on Petfinder • Fill out an application for Betty & Bullwinkle, Brookhaven PS. View this pet on Petfinder • Fill out an application for Bullwinkle & Betty, Brookhaven PS. View this pet on Petfinder • Fill out an application for Lovebug (FCID# 03/01/2019 - 102 Willow Grove). View this pet on Petfinder • Fill out an application for Ms. Puffles: DLH (FCID# 01/14/2019 - 38). View this pet on Petfinder • Fill out an application for Jethro (FCID# 01/29/2019 - 138 Willow Grove). View this pet on Petfinder • Fill out an application for Turvey (FCID# 01/17/2019 - 13 West Chester PSP). View this pet on Petfinder • Fill out an application for Topsy (FCID# 01/17/2019 - 12 West Chester PSP). View this pet on Petfinder • Fill out an application for Callie (FCID# 02/11/2019 - 49 KOP PS). View this pet on Petfinder • Fill out an application for Moon (FCID# 01/24/2019 - 8 Christiana PetSmart). View this pet on Petfinder • Fill out an application for Maggie Mae (rescued from abuse FCID# 01/07/19-31). View this pet on Petfinder • Fill out an application for Kiki (FCID# 04/02/2018 - 33). View this pet on Petfinder • Fill out an application for T'challa aka Midnight (FCID# 01/14/2019-36 WC PSP). View this pet on Petfinder • Fill out an application for Greta (FCID# 03/14/2019 - 20 Christiana PetSmart). View this pet on Petfinder • Fill out an application for Mr. Crowly (FCID# 03/08/2019 - 115 Willow Grove). View this pet on Petfinder • Fill out an application for Donald Duck (FCID# 03/08/2019 - 403 Jenkintown PS). View this pet on Petfinder • Fill out an application for Wilbur (FCID# 02/15/2019 - 121 Jenkintown PetSmart. View this pet on Petfinder • Fill out an application for Horace (FCID# 07/21/2081-401 Willow Grove Foster). LAP CAT!!! Hello, All! My name is Sadie (FCID# 03/28/2019 - 49)! I am a 1 1/2 yo spayed Tuxedo female momma cat; they say this was my 3rd litter! My foster Mom thinks my confirmation is funny looking, but little does she know that my confirmation aligns with the characteristics of a Sphinx cat! I have large lovely amber eyes, over-sized ears, a long SKINNY tail, long snowshoe hind feet and a sparse thin coat. What I may lack in typical cat confirmation, I flourish in personality! I am a true people cat! I seek out human company, especially an empty lap! I will lavish you with purrs and gentle head rubs. If my personality is not enough to win you over, you will absolutely fall in love with my warble meow, perfect white blaze and bib, and my white whiskers! View this pet on Petfinder • Fill out an application for Sadie (FCID# 03/28/2019 - 49). View this pet on Petfinder • Fill out an application for Madeleine (FCID# 01/08/2019 - 123 Brandywine PS). View this pet on Petfinder • Fill out an application for Sunshine (FCID# 01/21/2019-7 Brandywine PetSmart). View this pet on Petfinder • Fill out an application for Penny (FCID# 03/14/2019-16 Brandywine PetSmart). View this pet on Petfinder • Fill out an application for Merlin (FCID# 01/14/2019 - 37 West Chester PSP). View this pet on Petfinder • Fill out an application for Raven DMH/DLH (FCID# 03/04/19 - 29 Brookhaven PS). View this pet on Petfinder • Fill out an application for Dixie (FCID# 03/21/2019 - 19 Brandywine PetSmart). View this pet on Petfinder • Fill out an application for Lizzy (FCID# 04/08/2019 - 30). View this pet on Petfinder • Fill out an application for Luke (FCID# 03/19/2018 - 34). View this pet on Petfinder • Fill out an application for Chillah (FCID# 03/28/2019 - 11). View this pet on Petfinder • Fill out an application for Margie (FCID# 04/08/2019 - 31). View this pet on Petfinder • Fill out an application for Henri (FCID# 03/14/2019 - 18 Brandywine PetSmart)). View this pet on Petfinder • Fill out an application for Star (FCID# 03/03/2019 - 529 Trainer). 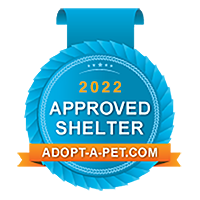 View this pet on Petfinder • Fill out an application for Alex (FCID# 03/28/2019 - 44 Trainer). View this pet on Petfinder • Fill out an application for Alfalfa (FCID# 04/01/2019 - 37 Trainer). View this pet on Petfinder • Fill out an application for Cashmere: DMH (FCID# 04/08/2019 - 2 Trainer). View this pet on Petfinder • Fill out an application for Major Tom (FCID# 03/05/2019 - 111 Willow Grove). View this pet on Petfinder • Fill out an application for Greystoke (FCID# 1/14/19-39 West Chester Foster). View this pet on Petfinder • Fill out an application for Shuri (FCID# 01/14/2019 - 40 West Chester Foster). View this pet on Petfinder • Fill out an application for Blake P aka Pumpkin (FCID# 07/26/2013 - 102 WG). Please meet Garcia (FCID# 03/05/2019 - 104! He is a small brown and gray tabby with white. View this pet on Petfinder • Fill out an application for Garcia (FCID# 03/05/2019 - 104 Willow Grove). View this pet on Petfinder • Fill out an application for Reginald (FCID# 02/05/2019 - 110 Willow Grove). View this pet on Petfinder • Fill out an application for Butter Finger (FCID# 03/05/19 - 107 Willow Grove). View this pet on Petfinder • Fill out an application for Chaz (FCID# 04/01/2019 - 43 Brandywine PetSmart). View this pet on Petfinder • Fill out an application for Chuck (FCID# 03/21/2019 - 1 Trainer). View this pet on Petfinder • Fill out an application for Wilma (FCID# 03/25/2019 - 33 Trainer). View this pet on Petfinder • Fill out an application for Wally Wiskas (FCID# 02/21/2019 - 510 Trainer. View this pet on Petfinder • Fill out an application for Tucker (FCID# 03/17/2019 - 544 Trainer). View this pet on Petfinder • Fill out an application for Tommy (FCID# 04/08/2019 - 2 Trainer). View this pet on Petfinder • Fill out an application for Thomas (FCID# 3/11/19-38 Concord Pet Chestnet Run). View this pet on Petfinder • Fill out an application for Snoopy (FCID# 03/26/2019 - 402). View this pet on Petfinder • Fill out an application for Gus Gus (FCID# 03/26/2019 - 101 Willow Grove). View this pet on Petfinder • Fill out an application for Waffles: Declawed (FCID# 09/05/2017 - 103 WG). View this pet on Petfinder • Fill out an application for Spencer (FCID# 03/14/2019 - 32 Concord Pet). View this pet on Petfinder • Fill out an application for Buddy (FCID# 05/25/18-141). View this pet on Petfinder • Fill out an application for Dusty (FCID# 03/07/2019 - 521 Brandywine PetSmart). View this pet on Petfinder • Fill out an application for Romeo (FCID# 03/18/2019 - 27). View this pet on Petfinder • Fill out an application for Blackberry, King of Prussia PA Area. View this pet on Petfinder • Fill out an application for Biscuit, King of Prussia PA Area. View this pet on Petfinder • Fill out an application for Fabian, King of Prussia PA Area. View this pet on Petfinder • Fill out an application for Frisco, King of Prussia PA Area. Foster needed immediately!!! Super Senior!!! Sweet Ozzie was adopted from Forgotten Cats in 2012. He has spent the last 8 years by EverlyÃ¢Â€Â™s side. Ozzie had been her loyal companion for the last 8 years, but sadly she saw his health and her health deteriorating and knew she could not provide him the kind of care he needed. Everly was faced with a tough decision. Out of her love and what she felt was best for Ozzie, she contacted Forgotten Cats and asked us to take him back, give him the medical care he needed, and place him in a new loving home. At first, Ozzie was sad and so confused. Where was Everly? But, he is adjusting and we are beginning to see his sweet and quirky personality. Ozzie is diabetic. He needs a foster or adopter who is committed to providing Ozzie with his prescription diet and insulin shots two times per day. Forgotten Cats will provide the foster with the prescription diet and insulin. Who can lend a paw? Ozzie is a sweet boy, and he deserves to be in a home where he is loved and cherished. If you can foster Ozzie, please fill out a foster form at www.forgottencats.org/foster-homes.php. Interested in adopting? You can fill out an adoption application at www.forgottencats.org/application.php. Thank you for considering Ozzie. View this pet on Petfinder • Fill out an application for Ozzie (FCID# 04/30/2012- 12). View this pet on Petfinder • Fill out an application for Radar (FCID# 02/07/2019 - 527 Trainer). View this pet on Petfinder • Fill out an application for Ping (FCID# 03/07/2019 - 540 Trainer). View this pet on Petfinder • Fill out an application for Oliver (FCID# 03/28/2019 - 81 Trainer). View this pet on Petfinder • Fill out an application for Maura (FCID# 03/21/2019 - 3). Blossom (FCID# 03/07/2019- 548) is a pretty, brown tabby about 1-3 years old. She likes her crinkly foil spider toy, pets, lap time and chin scratches. Please visit and play with Blossom at our adoption center in the West Chester PetCo. Thank you! http://www.forgottencats.org/application.php. View this pet on Petfinder • Fill out an application for Blossom (FCID# 03/07/2019 - 548 WC PetCo). View this pet on Petfinder • Fill out an application for Georgie (FCID# 04/11/2019 - 14 King of Prussia PS). View this pet on Petfinder • Fill out an application for Teagan (FCID# 04/11/2019 - 3 King of Prussia PS). View this pet on Petfinder • Fill out an application for Abby (FCID# 04/11/2019 - 51 King of Prussia PS).